Who is eligible for Commercial lighting rebates? How much will your lighting rebate be? the specific calculation method used under the relevant state scheme. We can give you a rebate estimate for your specific lighting requirements as part of a free lighting assessment and proposal. Do rebates apply to all LED lights? No, rebates only apply to 'approved' products under the specific state energy efficiency scheme. Our Lighting Consultants can advise you exactly which products are approved, and which ones we would recommend for your individual business requirements. Rebates are paid by third party providers such as Ecovantage; not by the government. 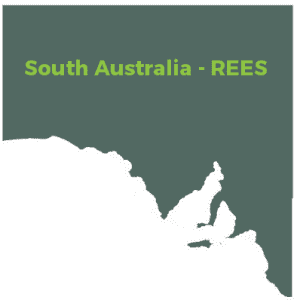 In South Australia we are a third party provider (where no accreditation exists). The incentive is offered as a discount off the total cost of an upgrade, or as a rebate after the job is complete. "The results have been a great success. From start to finish the process was professionally handled by Ecovantage with ease, including the obtaining of government rebates, which significantly reduced our up-front cost and investment. Our actual electricity usage has decreased by over 30%." As the schemes are state-based, it depends on how long each individual state government will support the scheme. The short to medium term outlook is good: there is solid support from all three state governments, with South Australia recently expanding their scheme to include commercial lighting.